Converting the values of one type to another for the evaluation of an expression is called type casting or type conversion. 1) Upcasting – Conversion of lower types to upper types is called upcasting. Upcasting is implicitly performed. a. Let n be an integer and n = 2n then to store n in memory in integer representation k bits are required. 15 bits are required to store 32768.
b. In floating point representation number is not stored rather its exponent is stored. Then only 15 need to be stored. n=2k and k = 2l where l<k then to store n only l bits are required. 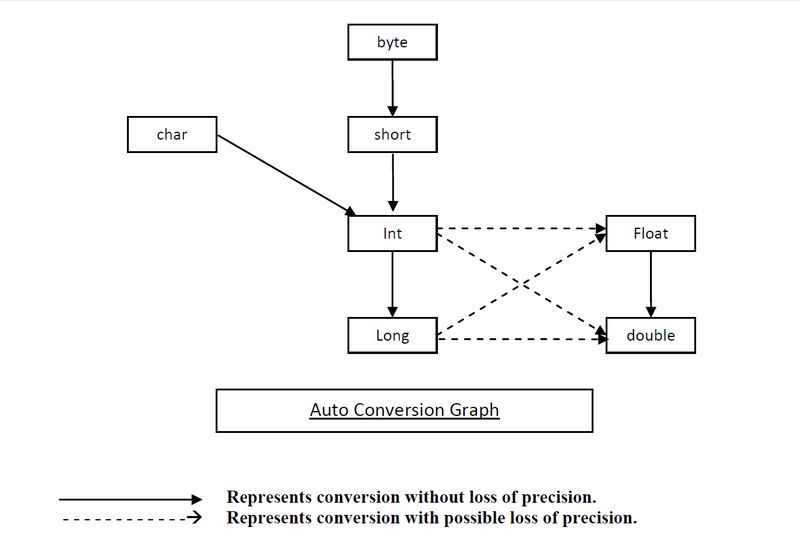 2) Downcasting – Conversion of higher types to lower type is called downcasting. Downcasting need to be explicitly performed. Reference Variable – is an implicit pointer that contains the reference of a class object. 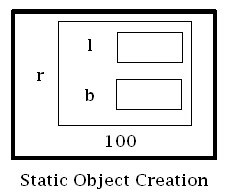 In Java, objects are dynamically created. Hence, they don’t have names. They are referred using the name of their reference variable. 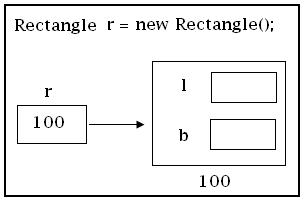 a table is created during compilation.  Address & Reference denotes two different things. 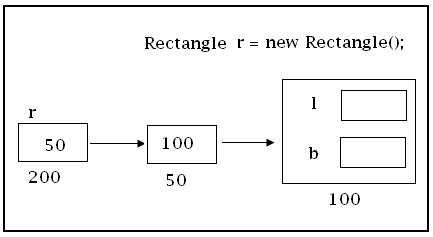 o Address represents actual memory location whereas Reference represents a mechanism of finding out objects. 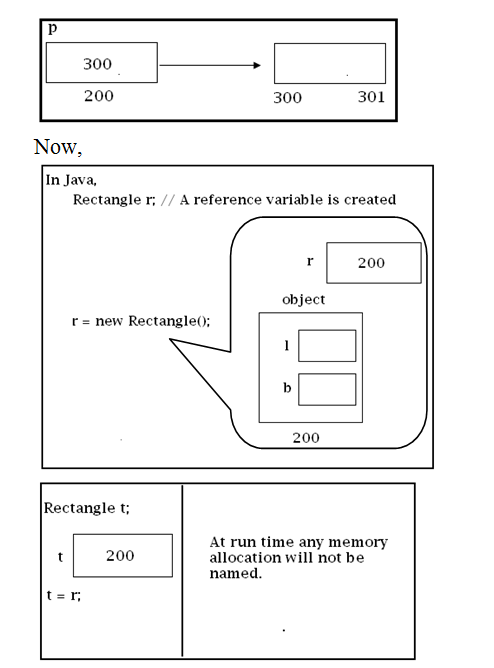  Different JRE provides different implementations of references. o In Microsft JRE, References are implemented as pointers that is they actually holds the address of object. o In Sun Microsystem JRE, Reference Variables are implemented as pointer to pointer. 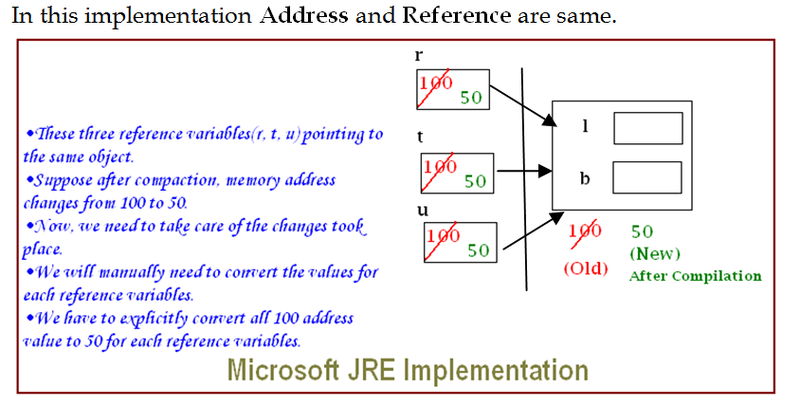 In this implementation, Reference and Address are different. 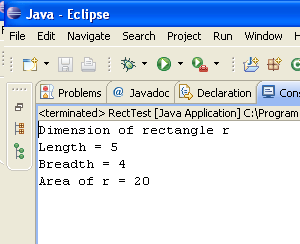 Now we will write a program RectTest.java to test the program Rectangle.java written above. Since variables l and b are declared private so we cannot access it from outside. 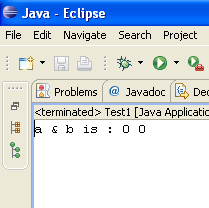 Now the same program RectTest.java again. Answer – Datatype is a set of values that has an associated set of operations and a memory representation for its values. v Concept of default value is not applied on local variables of method i.e. local variables of a method need to be explicitly assigned. v Default value will be applied in class variables. Now let’s see the output of the above program. In Java, floating point constants are of double type by default. The value of higher type cannot be directly assigned to a lower type. In such a case type conversion is required.